The results are in. While workers are celebrating some huge victories this morning, the corporate crowd is wondering what went wrong in some key races. Last night’s California primary election presented some very clear choices to voters that are critical to the direction of our state. The corporate political machine went all in, spending big in an effort to defeat labor champions in a number of races, and for the most part, came up empty. Union workers, who pounded the pavement in the final weeks to talk to voters face-to-face about the importance of the election, likely made the difference in a number of races. It was a bad night for corporate Democrats and a good night for worker-friendly candidates. In a number of races around the state, big business spent heavily to elect corporate Democrats to do their bidding in the legislature. 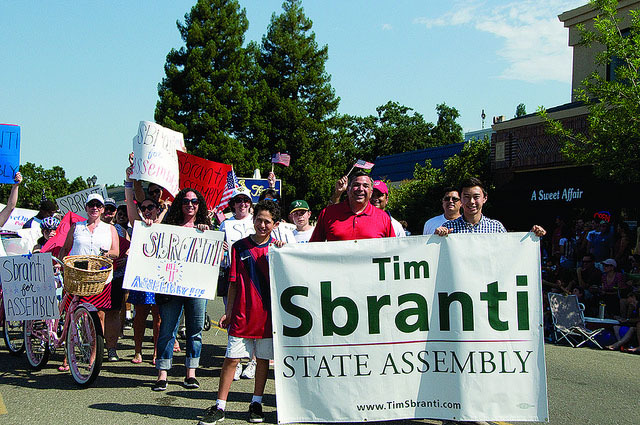 The most high-profile of these races was Assembly District 16, where a coalition of oil companies, tobacco firms, developers, realtors and other business interests sought to advance corporate Democrat Steve Glazer over former teacher and Dublin mayor Tim Sbranti. Sbranti easily beat out Glazer for a spot in the general election, garnering 29% of the vote to Glazer’s 22%. It was a stinging defeat for Glazer, who, backed by a gaudy $3 million in corporate cash, made attacking union workers central to his campaign. In another important race, corporate interests spent hundreds of thousands of dollars attacking labor champion Connie Leyva in Senate District 20, only to see Leyva advance to the general election. Leyva, the president of UFCW Local 1428 and the California Labor Federation, is a lifelong advocate for working families who will be a strong voice for workers in the legislature. Governor Jerry Brown wins BIG. There was no doubt Gov. Brown was headed to the general election, but by running up the score on his Republican counterparts, Brown showed just how formidable he will be come November. After the masterful job he’s done in turning California around, there’s simply no credible case to be made that he doesn’t deserve another term as Governor. And while the Republican establishment was happy to avoid the party bus to crazy town, population Tim Donnelly, they may not fare much better with former Goldman Sachs executive Neel Kashkari. Like Meg Whitman before him, Kashkari is the type of Wall Street candidate that California voters have little appetite for. In fact, given Kashkari’s involvement in the bailout of big banks at the expense of taxpayers, his resume may even be less palatable than Whitman’s. And his platform of cutting taxes on big corporations and eliminating regulations that protect workers and the environment isn’t going to sit well with working people. Pro-worker candidates advance in every statewide constitutional race. California is poised to retain the most worker-friendly slate of constitutional officers in the country after a number of huge wins by labor-endorsed candidates in the other statewide constitutional races. But just because big corporations took a drubbing last night, don’t think they won’t reload for the fall. Look for big corporate money to come in to support anti-teacher candidate Marshall Tuck against education champion Tom Torlakson. The California GOP will also likely throw in big for their only viable statewide candidate, Fresno Mayor Ashley Swearengin, who likely faces off against former Speaker of the Assembly, labor champion John Perez. 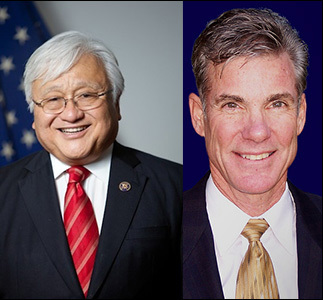 Mike Honda wins big in Congressional District 17. Honda has been a champion for workers for decades, standing with labor in many key workers’ rights battles. He received an unexpected challenge from Democrat Ro Khanna in the primary. Khanna has done some good things for working people during his career, so it was a bit of a head-scratcher as to why he’d challenge a labor stalwart like Honda. Regardless, Honda showed his support in district is rock solid by garnering a decisive 49% of the vote in last night’s primary. The two will face off again in November, and working people are likely to ensure the same result, sending Honda back to Congress for another term. Measure to provide much-needed assistance to homeless veterans cruises to victory. The California Labor Federation was a huge supporter of Prop 41 as part of our ongoing effort to advocate for our state’s veterans. It was great to see voters show such strong approval (65%) of a measure to support our heroes in uniform, especially given the desperate need for increased housing options for veterans. The Labor Federation and affiliate unions look forward to continuing our efforts to support veterans through our new program, Veterans and Labor – Partners in Service. Learn more at www.veteransandlabor.com. This entry was posted on Thursday, June 5th, 2014 at 9:41 pm	and is filed under Blog. You can follow any responses to this entry through the RSS 2.0 feed. Both comments and pings are currently closed.